In 1977, New York Yankees owner George Steinbrenner (Oliver Platt) was determined to bring a World Series win back to the Big Apple. 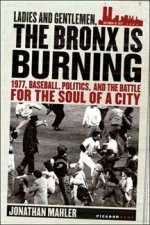 This sprawling sports drama chronicles the story of the Yankees' championship season against the backdrop of a team--and a city--engulfed in chaos and controversy. The eight-part miniseries also features John Turturro as feisty manager Billy Martin and Daniel Sunjata as star slugger Reggie Jackson. 6 hrs. total on three discs. Widescreen (Enhanced); Soundtrack: English Dolby Digital 5.1; deleted scenes; extended scenes; featurettes; interviews; baseball statistics. In 1977, New York Yankees owner George Steinbrenner (Oliver Platt) was determined to bring a World Series win back to the Big Apple. This sprawling sports drama chronicles the story of the Yankees' championship season against the backdrop of a team--and a city--engulfed in chaos and controversy. The eight-part miniseries also features John Turturro as feisty manager Billy Martin and Daniel Sunjata as star slugger Reggie Jackson. Five-disc collector's set includes the entire miniseries plus a wealth of bonus features, including highlights from the 1977 World Series as well as Game 6 in its entirety. 6 hrs. total. Widescreen; Soundtrack: English Dolby Digital stereo; interviews; outtakes; more.